Today, I ventured out into my garden for the first time since I came down with the stomach flu last Friday. It felt great to be outside in my messy February garden, so I decided to celebrate by taking a few shots for a belated Garden Bloggers' Bloom Day post. The Indian Plum has busted out in full bloom, making the local hummingbirds very happy. Yes, I can still see you, Barnaby, hiding behind a Pagoda Dogwood branch. 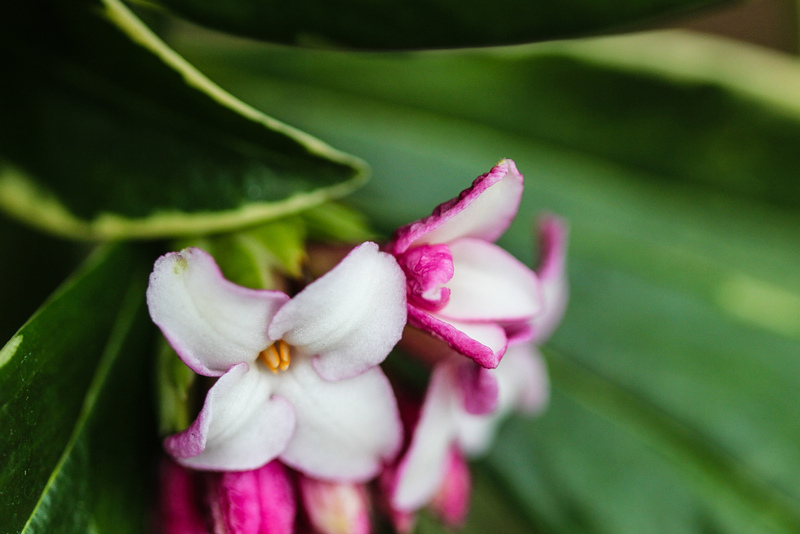 The sweet fragrance of the daphne blooms overwhelmed me while I took pictures in the front yard. 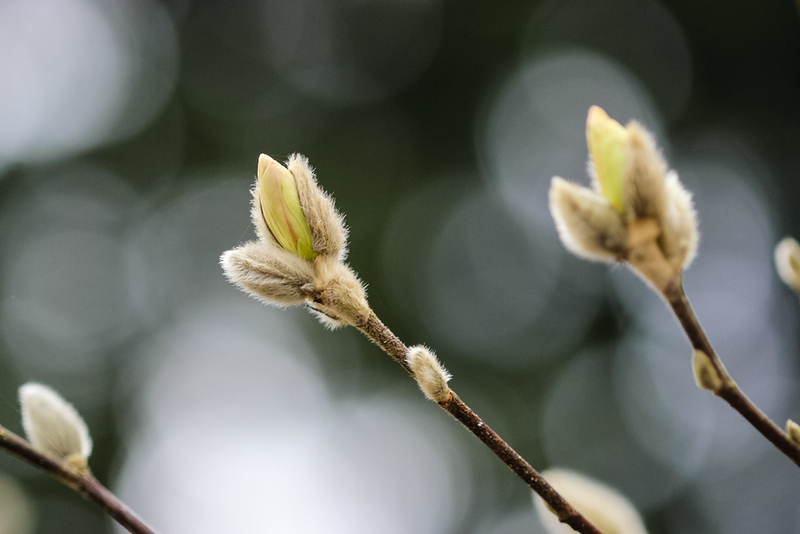 I noticed that a few Star Magnolia blooms are about to unfurl. This euphorbia guards the poetry post from the Neighborhood Miscreants and Partying Garden Gnomes. My neighbor refers to the euphorbia as the Shrek's Ears plant. What do you think of that name? 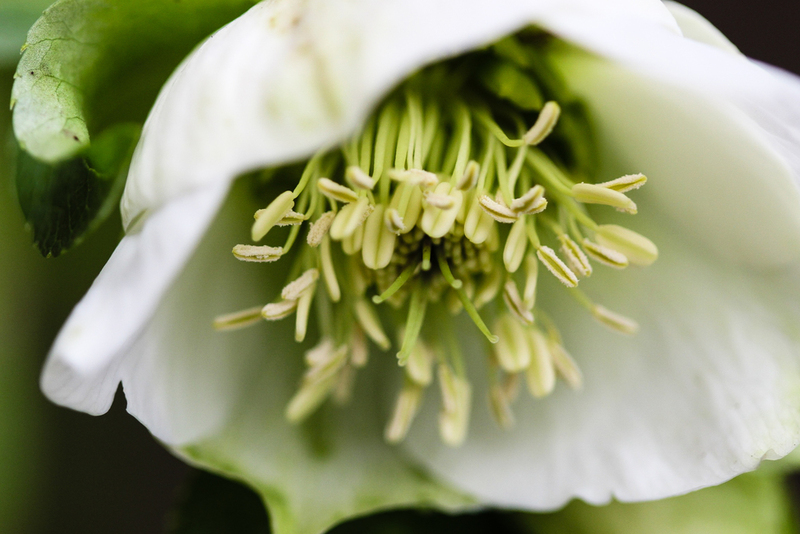 The hellebores are quietly blooming in the side yard. Thanks for joining me on my walk through my garden. Its time for me to kick my feet up and drink some more ginger tea. Please don't forget to visit our lovely hostess, Carol at May Dreams Gardens, to view flowers from around the world. Happy Garden Bloggers' Bloom Day to you!